and there is no partiality with him. In today's Scripture verse, Paul the Apostle is giving instruction to the Church on how masters should treat their servants. He reminds them that they also have a Master in heaven who doesn't show favoritism so we should be careful not to mistreat those who are under our own supervision either. God does not play favorites! Every son and daughter is equal at His table. Of course we are called to submit to every authority that God has instituted in heaven and on earth, but it is clear that God does not favor one of His kids over the other. The truth of the matter is that we are ALL His favorites! The Father loves you and me with the same love that He loves Jesus! It is a wonderful thought to think that we are loved that much, but it is true. 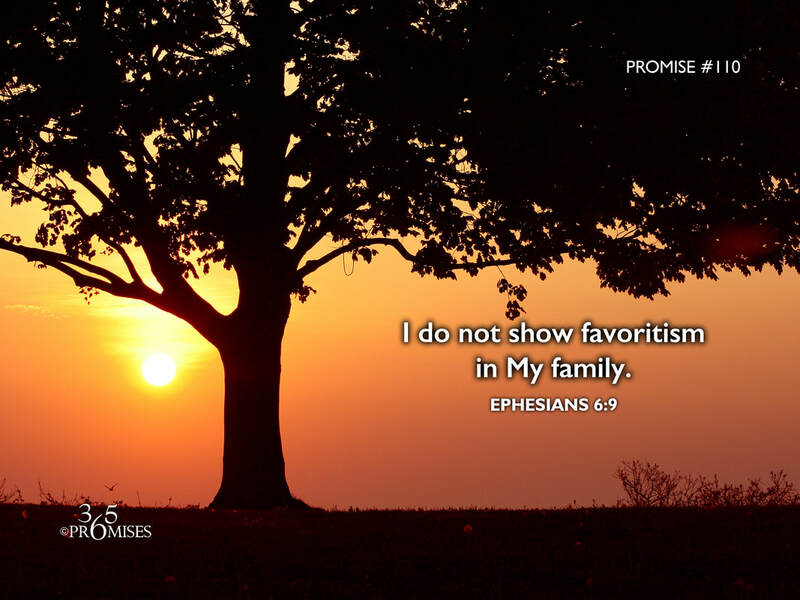 God does not show favoritism in His family. He loves ALL of us with ALL His heart.